Marsilea L. - Water clover or clover fern. The plants mostly look like swamp-grown four-leaved clover! Fronds with 4 leaflets, arranged symmetrically crosswise at the apex of a stipe, floating in submerged plants. Leaflets herbaceous, obtriangular to obovate. Sori numerous on a gelatinous string-like receptacle attached to the wall of the sporocarp. Sporocarps stalked, borne singly or many together on petioles arising at or near the base of the stipe. 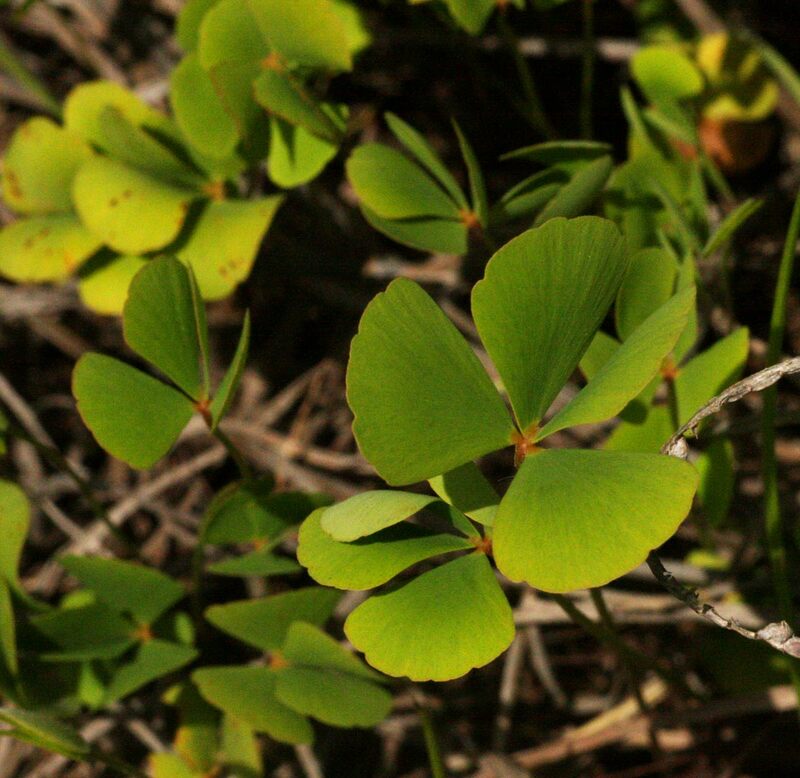 The identification of species of Marsilea on vegetative characters is impossible, mature sporocarps are essential for accurate naming. Derivation of name: marsilea: named after Count Luigi Fernandino Marsigli of Bologna (1658-1730), naturalist. Worldwide: ± 70 species, near cosmopolitan distribution. We have 27 taxa in the database for Marsilea. Marsilea burchellii (Kunze) A. Br.